Secret Stories® Phonics Blog with Katie Garner: "Butter or Buter?" 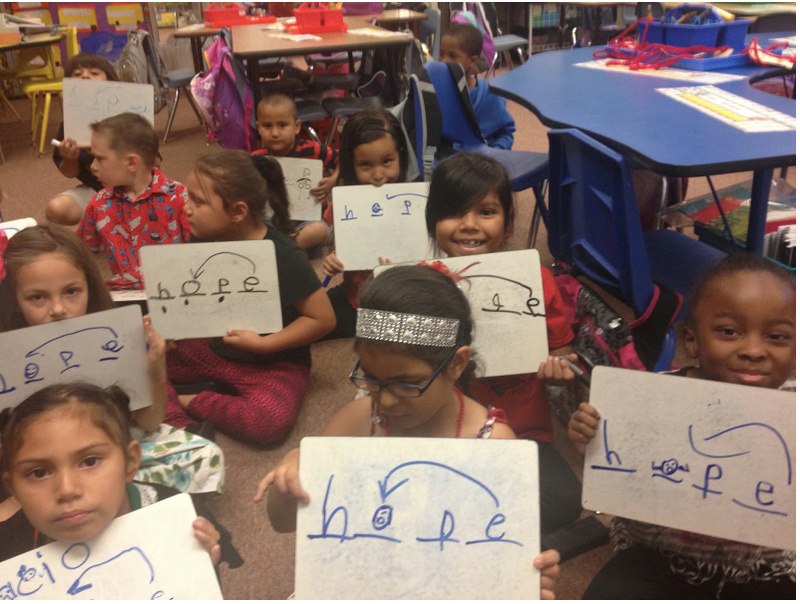 The Best Vowel-Trick EVER! "Butter or Buter?" The Best Vowel-Trick EVER! "Why do I have to write two T's in the word butter when I only hear one sound? And how do I know whether to make the long or short sound for the letter u?" As teachers, we know that the trick to figuring this out is based on the syllabic division of a word. But for early and struggling, upper grade learners, this "trick" can actually be more confusing than the problem it solves, thus making an already difficult task seem even more complicated, especially for the average "concrete-thinker" (which early learners are). If you've been following my blog (or are using the SECRET STORIES®) then you know how quickly and easily the Mommy E® and Babysitter Vowels® secrets are an easy-fix for this pervasive problem. This is because kids already know that when their Mommy (or Babysitter) is nearby, they have to behave and do what they're told! And when they are not, all behavior-bets are off! Click here to learn the "Chin-It" Trick that these kids are using in the picture above! Framing the abstract VCV/VCCV concepts in this way activates the affective thinking ("feeling") domain— an earlier developing area of the brain that is far more accessible to very young and/or struggling learners, making it a perfect "backdoor-route" for critical skill acquisition! 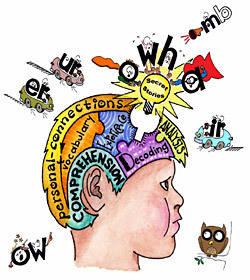 These "social-emotional" (affective) learning connections to Mommy E® and the Babysitter Vowels® are already deeply entrenched within the learner, and it is this inherent understanding that easily and effortlessly drives their decision-making when working with unfamiliar text. 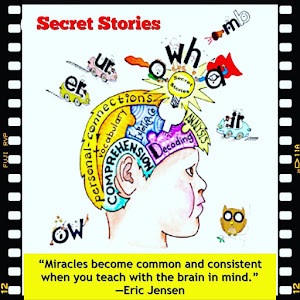 Excerpt from Fall 2016 Secret Stories® Book Edition—"Version 2.0!" —Listening to mommy or a babysitter is already rooted in what kids already know and understand , as they are part of their social emotional framework of understanding. However, Sparkly E and Magic E are random and arbitrary, and therefore require an additional step in the learning process before they can be applied. —Sparkly E and Magic E only apply to one syllable words ending in silent e (bike, rake, use, etc...) and does not help kids to decode all VCV/ VCCV words, like: going, making, rider, motor, etc... They don't provide much bang for the instructional-buck, as they only work when there is an e at the end, and otherwise leaving learners "high and dry!" Kids who know the Secrets can easily crack even more advanced, multi-syllabic words, like hibernate! 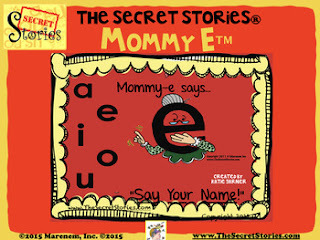 All they need to know is that much like their own mommy, sometimes Mommy E® just has to get out of the house! When she does, she'll put another vowel in charge to babysit, and he does exactly what Mommy would do if she were there, which is tell any vowel that's one letter away, "You say your name!" Works like a charm every time! So let's see just how easy this is, even for kindergartners! 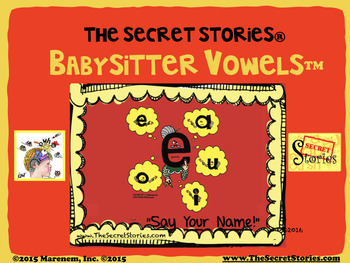 Knowing the Mommy E® and Babysitter Vowels® Secrets instantly equip even the youngest four or five year old learners with the "best-betting odds for Las Vegas" when it comes to the most likely sound a vowel will make—even in words they've never seen before! "Is there an easy way for beginning learners to understand why there are two T's in the word butter?" However, you can watch this short video clip to find out! 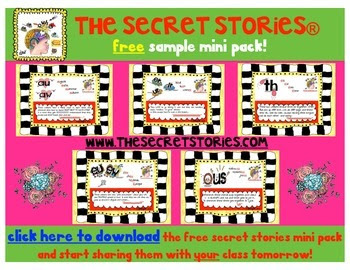 Start sharing "secrets" with your class tomorrow! I loved watching the modeled guided reading video! We use the secrets all the time and I teach third grade! They have completely changed the course of my lower level readers, all of whom are now ON GRADE LEVEL!!! Our K-2 had been using the Secret Stories for a couple of years and just raved about them, so 3rd decided to give them a try and the results have been outstanding. Our 4th and 5th are now planning to start them next year and we're hoping to have you come out to our school for a PD. If I win, I will be passing my set on up to a 4th grade teacher whose students are really struggling, so fingers crossed!!! We use the Secret Stories every day, ALL day! My kids LOVE them and are constantly looking for them EVERYWHERE! It's so wonderful to see them so excited about reading, especially the ones who had no interest at all before learning the secrets. We are HUUUUGEEEE Secret Stories fans!!!! My friend and fellow teacher highly recommends Secret Stories! I would love to use them with my early readers. I love to teach my students about Mommy E.
Don't even get me started on the Secret Stories, as I could literally go on for days about what they do and the difference they have made in my classroom. My students' progress has been remarkable every year since I started telling them. One of my students last year moved from kinder level to THIRD GRADE level!! Their progress is just incredible! I would love to win this giveaway! My son is in 1st grade, so this is perfect timing! I love the Secret Stories! 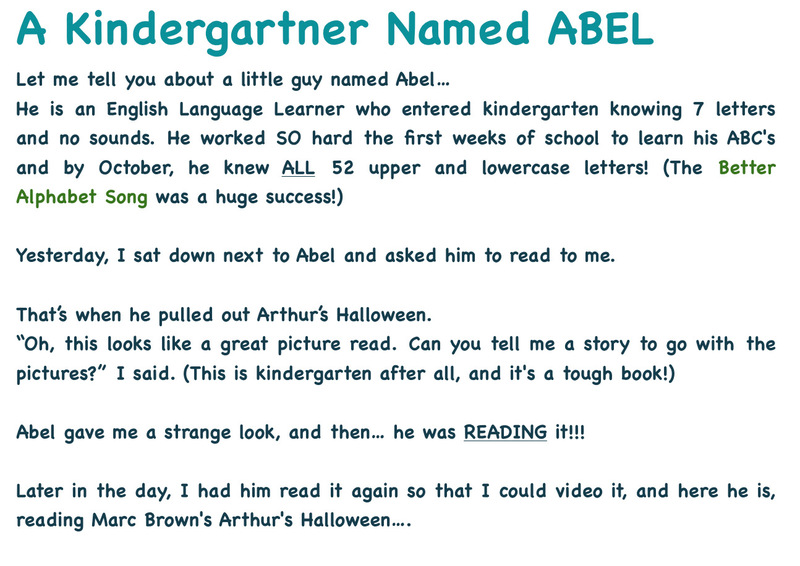 I am amazed at how quickly my first graders learn them and use them in their reading. I can't imaging teaching without them! I am a teacher and I'd love to use this with my students, it looks very intriguing! What is your story for teaching ck?